James Harvey has what some would consider to be a cult sensation in Masterplasty. The problem with that sensation is that it's only been experienced online. Image Comics is keen on changing that, as they're bringing the work to shelves in a standard trim size for $3.99. This is technically the second printing of the work, considering the massive popularity of the oversized-edition that hit shelves earlier. In Masterplasty, a young man decides to leave his college girlfriend after undergoing a new medical procedure which drastically modifies the physical appearance of the human body in ways both beautiful and hideous. But will changing the outside change what’s within? If you didn't read more the first time, November 12 is your chance to dive in and get acquainted (preorder with pre-ordered with Diamond Code SEP148035). When pressed for a quote, James responded, "now you can all stop asking me how you carry this thing home in the rain. Just kidding. I love you." 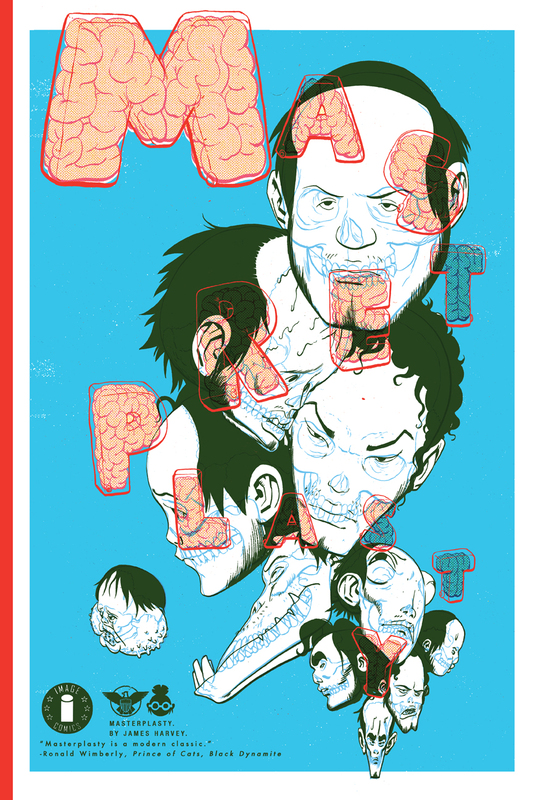 Writer and artist James Harvey’s MASTERPLASTY, which became a cult sensation online, finally hit shelves in an oversized-print format and instantly garnered critical acclaim and praise. The Onion’s AV Club called it “socially conscious with a biting sense of humor... get lost in the wildly imaginative mind of one of the industry’s most promising up-and-coming creators." MASTERPLASTY will go back to print at a standard trim size and will be priced at $3.99. In MASTERPLASTY, a young man decides to leave his college girlfriend after undergoing a new medical procedure which drastically modifies the physical appearance of the human body in ways both beautiful and hideous. But will changing the outside change what’s within? This reprinting of MASTERPLASTY will be available on 11/12 for $3.99 and can be pre-ordered with Diamond Code SEP148035.